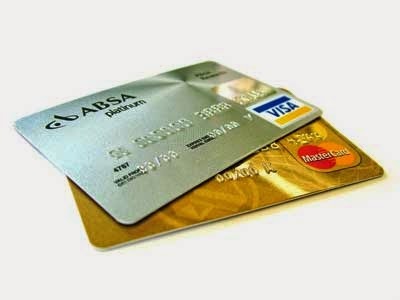 Have you ever encountered the below validation failure for credit card in EBS R12. Unable to set up a Credit Card Bank Account for the Customer. Credit Card information on the order is not valid. Below is the sample block you can use to validate your credit card in Oracle EBS. Invoice : A document that you create that lists amounts owed for the purchases of goods or services, any tax, freight charges and payment terms. Credit Memo : A document that partially or fully reverses an original invoice. Debit Memo : Debits that you assign to a customer to collect additional charges . ChargeBack : A new debit item that you assign to your customer when closing an existing, outstanding debit item. Deposit : A type of commitment whereby a customer agrees to deposit or prepay a sum of money for the future purchase of goods and services. Guarantee : A contractual obligation to purchase a specified amount of goods or services over a predefined period of time. 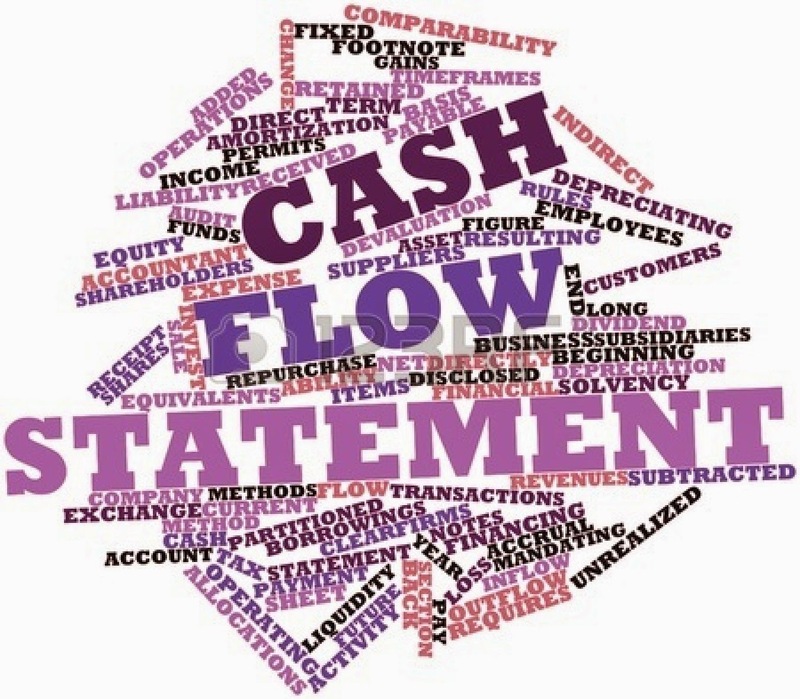 Cash flow statement provides considerable information about what is really happening in a business beyond that contained in either the income statement or the balance sheet. Analyzing this statement will quickly become obvious that the benefits of understanding the sources and uses of a company’s cash far outweigh the costs of undertaking some very straightforward analyses. In this chapter we are going to learn about the preparation of the cash flow statements. What are Cash Flow Statements? 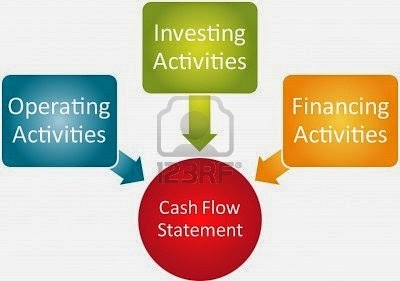 Cash flow statement, which shows inflows and outflows of the cash and cash equivalents. This statement is usually prepared by a company as a tool to know about the sources and uses of cash and cash equivalents of an enterprise over a period of time from various activities of an enterprise. It has gained substantial importance in the last decade because of its practical utility to the users of financial information. Who Requires a Cash Flow Statement? Investing activities - Reports the purchase and sale of long-term investments and property, plant and equipment. Financing activities - Reports the issuance and repurchase of the company's own bonds and stock and the payment of dividends. When an asset (other than cash) increases, the Cash account decreases. When an asset (other than cash) decreases, the Cash account increases. When a liability increases, the Cash account increases. When a liability decreases, the Cash account decreases. When owner's equity increases, the Cash account increases. When owner's equity decreases, the Cash account decreases. The differences in a company's balance sheet accounts will provide much of the needed information. For example, if the statement of cash flows is for the year 2009, the balance sheet accounts at December 31, 2009 will be compared to the balance sheet accounts at December 31, 2008. The changes—or differences—in these account balances will likely be entered in one of the sections of the statement of cash flows. In addition to using the changes in current assets and current liabilities, the operating activities section has adjustments for depreciation expense and for the gains and losses on the sale of long-term assets. Investing activities relate to purchase and sale of long-term assets or fixed assets such as machinery, furniture, land and building, etc. Transactions related to long-term investment are also investing activities. In short, investing activities involve the purchase and/or sale of long-term investments and property, plant, and equipment. In short, financing activities involve the issuance and/or the repurchase of a company's own bonds or stock. Dividend payments are also reported in this section. *This refers to current assets other than Cash. 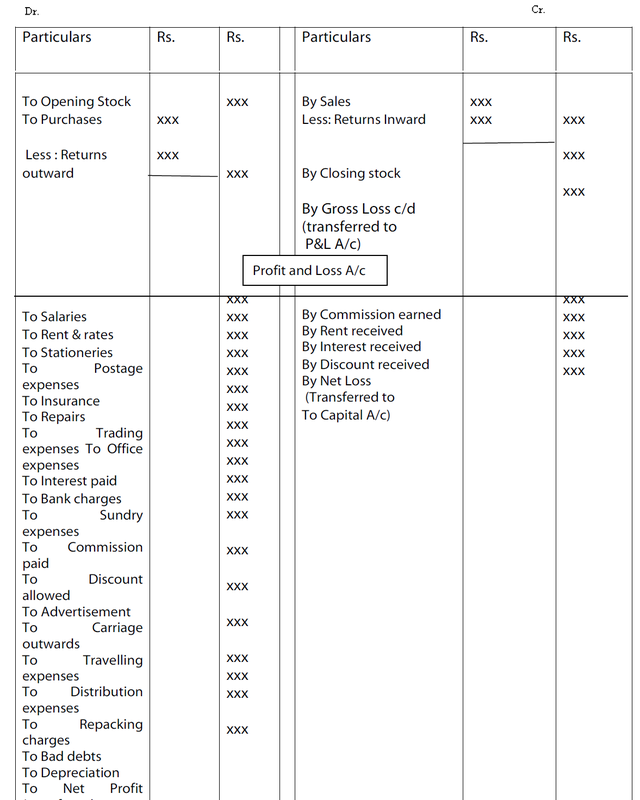 Below is the chart to identify how adjusting entities are marked in accounting. 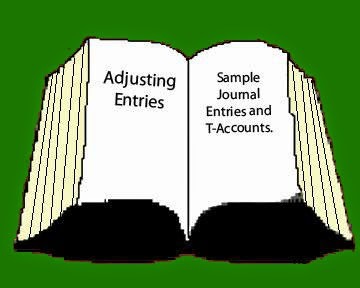 Adjusting entries are accounting journal entries that convert a company's accounting records to the accrual basis of accounting(we have learnt about the accrual basis of accounting in the previous chapters) .An adjusting journal entry is typically made just prior to issuing a company's financial statements. Nothing has been entered in the accounting records for certain expenses or revenues, but those expenses and/or revenues did occur and must be included in the current period's income statement and balance sheet. Something has already been entered in the accounting records, but the amount needs to be divided up between two or more accounting periods. Some important and common items, which need to be adjusted at the time of preparing the final accounts, are discussed below. Provision for discount on creditors. Note: All adjustments will be given outside the trial balance. 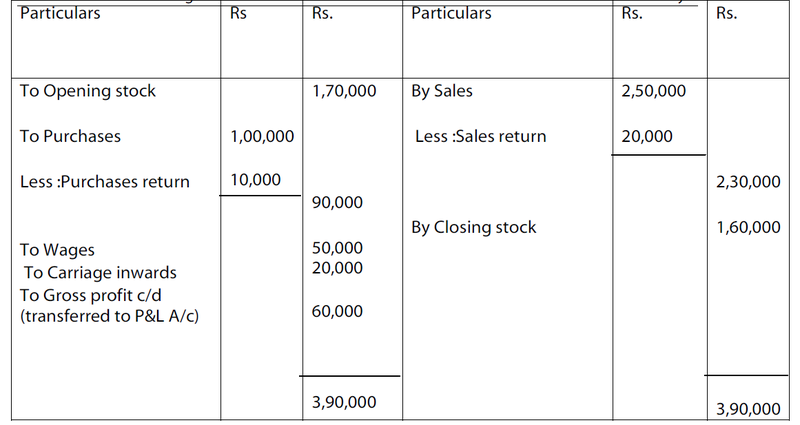 The unsold goods in stock at the end of the accounting period is called as closing stock. This is to be valued at cost or market price whichever is lower. Expenses which have been incurred but not yet paid during the accounting period for which the final accounts are being prepared are called as outstanding expenses. Income which has been earned but not received during the accounting period is called as accrued income. Income received during a particular accounting period for the work to be done in future period is called as income received in advance. In order to see whether the business is really earning profit or not, it is desirable to charge interest on capital at a certain rate. Depreciation is the reduction in the value of fixed assets due to its use or obsolescence. Generally depreciation is charged at some percentage on the value of fixed asset. Debts which cannot be recovered are called bad debts. It is a loss for the business. Every business suffers a percentage of bad debts over and above the debts definitely known as irrecoverable and written off as Bad (Bad debts written off). If Sundry debtors figure is to be shown correctly in the Balance sheet provision for bad and doubtful debts must be adjusted. To motivate the debtors to make prompt payments, cash discount may be allowed to them. After providing provision for bad and doubtful debts, the remaining debtors are called as good debtors. They may pay their dues in time and avail themselves of the cash discount Permissible. So a provision for discount on good debtors at a certain percentage may have to be created. Similar to cash discount allowed to debtors, the firm may have a chance to receive the cash discount from the creditors for prompt payment. Provision for discount on Creditors is calculated at a certain percentage on Sundry Creditors. After calculating the gross profit or gross loss the next step is to prepare the profit and loss account. To earn net profit a trader has to incur many expenses apart from those spent for purchases and manufacturing of goods. If such expenses are less than gross profit, the result will be net profit. When total of all these expenses are more than gross profit the result will be net loss. The aim of profit and loss account is to ascertain the net profit earned or net loss suffered during a particular period. Those expenses which are chargeable to the normal activities of the business are recorded in the debit side of profit and loss account. They are termed as Indirect expenses. Office and Administrative Expenses: Expenses incurred for the functioning of an office are office and administrative expenses – office salaries, office rent, office lighting, printing and stationery, postages, telephone charges etc. Repairs and Maintenance Expenses: These expenses relates to the maintenance of assets - repairs and renewals, depreciation etc. Selling and Distribution Expenses: All expenses relating to sales and distribution of goods - advertising, travelling expenses, salesmen salary, commission paid to salesmen, discount allowed, repacking charges etc. Besides the gross profit, other gains and incomes of the business are shown on the credit side. The following are some of the incomes and gains. Interest received on fixed deposits. The difference between the two sides of profit and loss account indicates either net profit or net loss. If the total on the credit side is more the difference is called net profit. On the other hand if the total of debit side is more the difference represents net loss. The net profit or net loss is transferred to capital account. Profit and loss account should be closed by transferring the net profit or net loss to capital account. Trading means buying and selling. The trading account shows the result of buying and selling of goods. At the end of each year, it is necessary to ascertain the net profit or net loss. For this purpose, it is first necessary to know the gross profit or gross loss. The trading account is prepared to ascertain this. The difference between the selling price and the cost price of the goods is the gross earning of the business concern. Such gross earning is called as gross profit. However, when the selling price is less than the cost of goods purchased, the result is gross loss. We’ll now see the explanation for each entity in the trading account. Opening stock: Stock on hand at the beginning of the year is termed as opening stock. The closing stock of the previous accounting year is treated as the opening stock of the current accounting year. In the case of new business, there will not be any opening stock. Purchases: Goods Purchased during the year are included in Purchases, this includes both cash and credit purchases of goods. All the Purchases which have been purchased and returned back to the dealers due to some defects or excess are called as purchase returns. Purchase returns must be deducted from the total purchases to get net purchases. Wages: It is the amount paid to workers for the amount of labor they do for the organization. Carriage or carriage inwards: It means the transportation charges paid to bring the goods from the place of purchase to the place of business. Octroi Duty: Amount paid to bring the goods within the municipal limits. Customs duty, dock dues, clearing charges, import duty etc. : These expenses are paid to the Government on the goods imported. Other expenses: Fuel, power, lighting charges, oil, grease, waste related to production and packing expenses. Sales: This includes both cash and credit sale made during the year. Net sales are derived by deducting sales return from the total sales. Let us prepare a Trading Account from the following information of a trader. 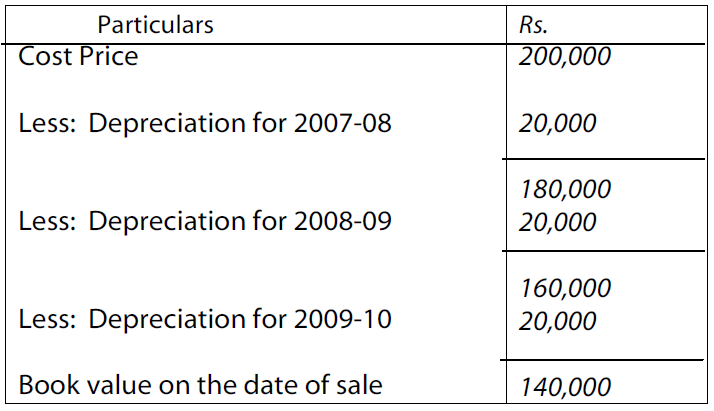 Total purchases made during the year 2003 Rs.2,00,000. The businessman is interested in knowing whether the business has resulted in profit or loss and what the financial position of the business is at a given period. In short, he wants to know the profitability and the financial soundness of the business. The trader can ascertain these by preparing the final accounts. 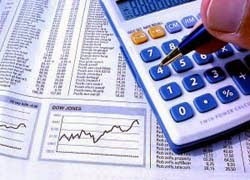 The final accounts are prepared at the end of the year from the trial balance. 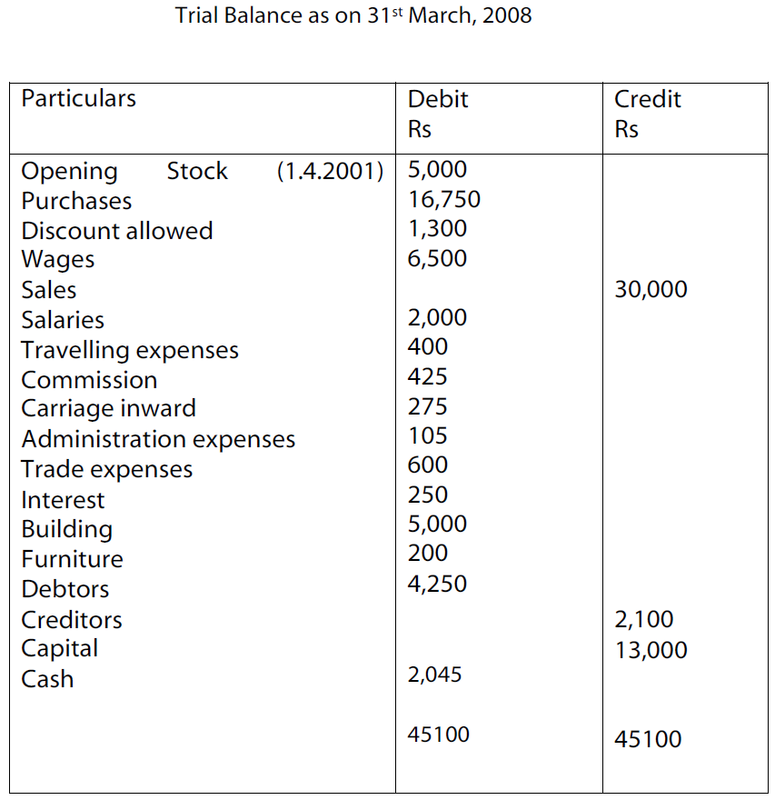 Hence the trial balance is said to be the connecting link between the ledger accounts and the final accounts. The final Accounts generally include two statements known as balance sheet and income statement which are required for external reporting and also for internal needs of the management like planning, decision-making and control. Real accounts and Personal accounts (which we have learnt about in the previous chapters) are capable of being called assets. Any element (account) that is capable of being liquidated (that is capable of being converted to cash by giving it away) indicates an asset. Machinery, Furniture, Cash, etc are real accounts that can be called assets. Debtors represent the persons and organizations who owe to the organization. They would clear their dues by paying out either in cash or in some other form. Thus Debtors get liquidated and as such can be called assets. All elements representing liabilities are Personal accounts. An element that is capable of being cleared by paying out indicates a liability. Creditors represent the persons and organization to whom the organization owes. The organization would clear its due by paying them either in cash or in some other form. Thus creditors are cleared by paying out and as such can be called liabilities. 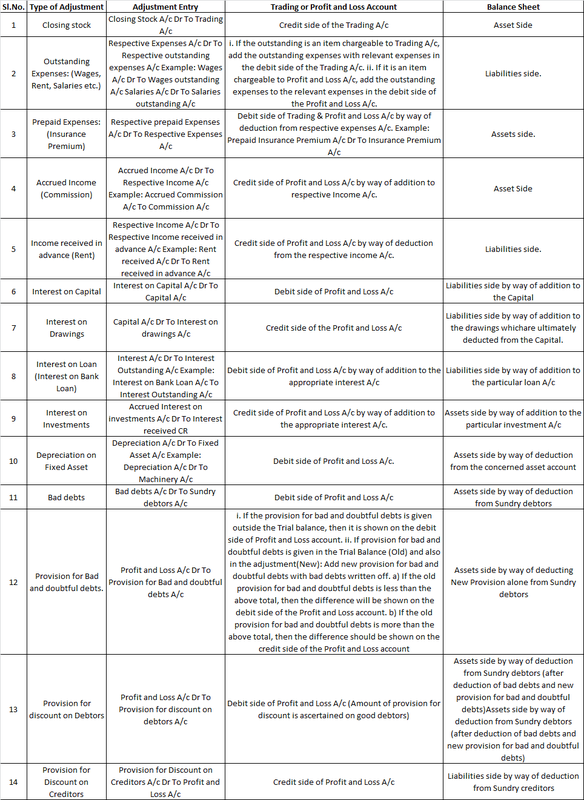 How to enter the entries into Balance sheet and Income statements? Before learning to enter the accounts into the Income Statement let us first distinguish the entries and learn to enter them into the financial statements. As we know that the ledger accounts maintained within an organizational accounting system are classified into three as Personal, Real and Nominal. Nominal accounts are related to expenses, losses, incomes and gains. Since ascertaining profits or losses involves dealing with incomes, gains, expenses and losses we can conclude that all the nominal accounts together would give us the information relating to the profits or losses made by the organization. Real accounts are related to tangible aspects. In general we can identify that all asset accounts are real accounts. Personal accounts are related to persons and organizations. These are persons/organization which owe the organization or to whom the organization owes. In effect they either form creditors (liabilities) or debtors (assets). Since all the nominal accounts have been dealt with in deriving the information relating to profits and we are left with only the real and personal accounts which represent either assets or liabilities we can conclude that all the real and personal accounts together give us the information relating to the position of the organization. Some times, a business may dispose an asset when it is worn out. In that case, it is advisable to find the profit or loss on sale of asset. This is done by comparing the selling price with the book value of the asset. If the selling price is more than the book value, then it is Profit on Sale. If the selling price is less than the book value, it is Loss on Sale. Let Us now solve a problem to find out the profit or Loss on sale of machinery. Ram manufacturing company purchased on 1st April 2007, Machinery for Rs.2, 00,000. After having used it for three years it was sold for Rs. 160,000. Depreciation is to be provided every year at the rate of 10% per annum on the fixed instalment method. Books are closed on 31st March every year. Book value on the date of sale is Rs. 140,000 As book value is less than selling price the difference is Profit. Profit on sale of machinery = Rs. 20,000. Srinivas & Co. purchased machinery on 1st April 2007 for Rs.75, 000. After having used it for three years it was sold for Rs.35, 000. Depreciation is to be provided every year at the rate of 10% per annum on Diminishing balance method. Accounts are closed on 31st March every year. Find out the profit or loss on sale of machinery. Book value on the date of sale = Rs.54,675. As book value is greater than selling price the difference is loss. Loss on sale of Machinery = Rs.19, 675. 2) For transferring the amount of depreciation at the end of the year. Profit and Loss A/c….. Dr.
Now Let Us look at an example and learn about passing journal entries and preparing fixed asset account and depreciation account for three years. 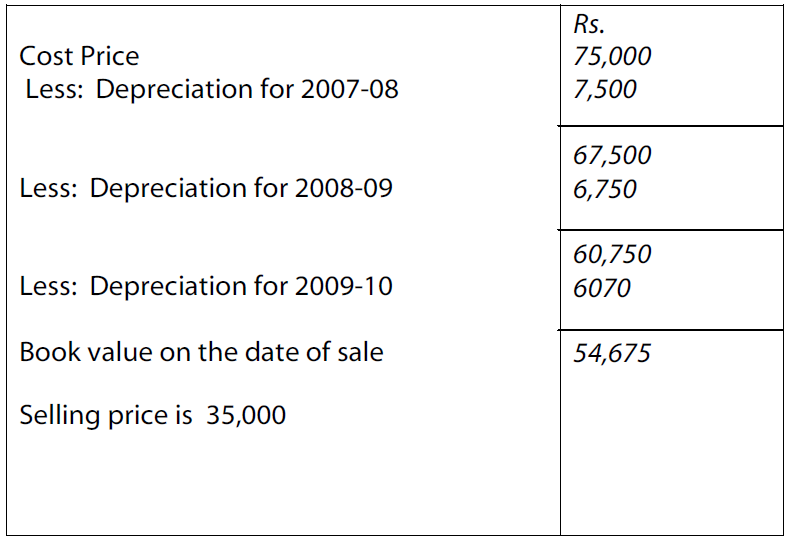 Ram & sons purchased a fixed asset on 1.4.2006 for Rs.3, 00, 000. Depreciation is to be provided at 10% annually according to the Straight line method. The books are closed on 31st March every year. In the Books of Rajesh & Co.
Pricing buckets control how discounts and other benefits are calculated across phases. Grouping discounts and benefits into buckets helps determine the net selling price across all pricing phases. 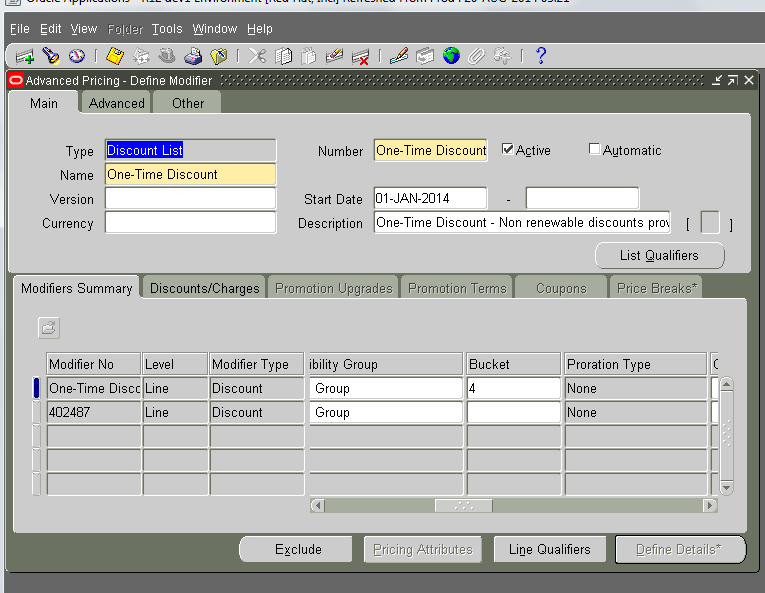 Calculates percent discounts using the list price. Sums all bucket modifier values to create a bucket subtotal. Applies the subtotal after the last numbered bucket. Null bucket: a 50% discount is assigned to the Null bucket. Bucket 1: a 10% discount is assigned. Bucket 2: a 10% surcharge is assigned. 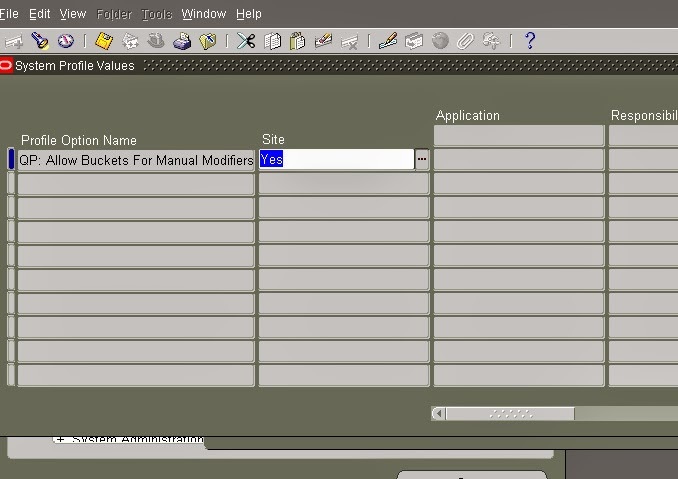 The below are the steps to assign modifiers to different buckets in Oracle Apps R12. Once the buckets are assigned, the modifiers are applied on the priority basis. This method is also called as Diminishing Balance Method. In this method depreciation is charged at a fixed percentage each year on the reducing balance (i.e., cost less depreciation) of asset. The amount of depreciation goes on decreasing every year. = Rs.16, 200 and so on. It is a logical method as the depreciation is calculated on the diminished balance every year. It is very difficult to determine the rate by which the value of asset could be written down to zero. This method is also called as Fixed Instalment Method .In this method the same amount of depreciation is charged every year throughout the life of the asset. The amount and rate of depreciation is calculated as under. It is very simple and easy to understand. Under this method, the book value of the asset becomes zero or equal to its scrap value at the expiry of its useful life. Depreciation is a term used in accounting, economics and finance to spread the cost of an asset over the span of several years. 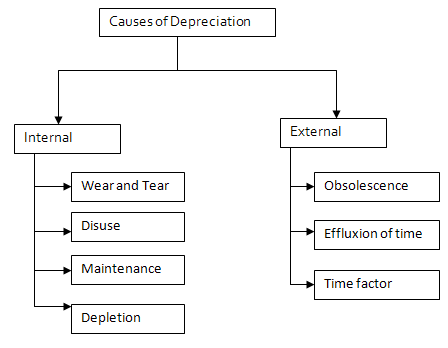 In common, depreciation is the reduction in the value of an asset used for business purposes during certain amount of time due to usage, passage of time .In this chapter we are going to learn about depreciation in detail and also about the methods to calculate depreciation. Understand the meaning and definition of depreciation. Recognize the reasons and causes for providing depreciation. Identify various methods of depreciation. 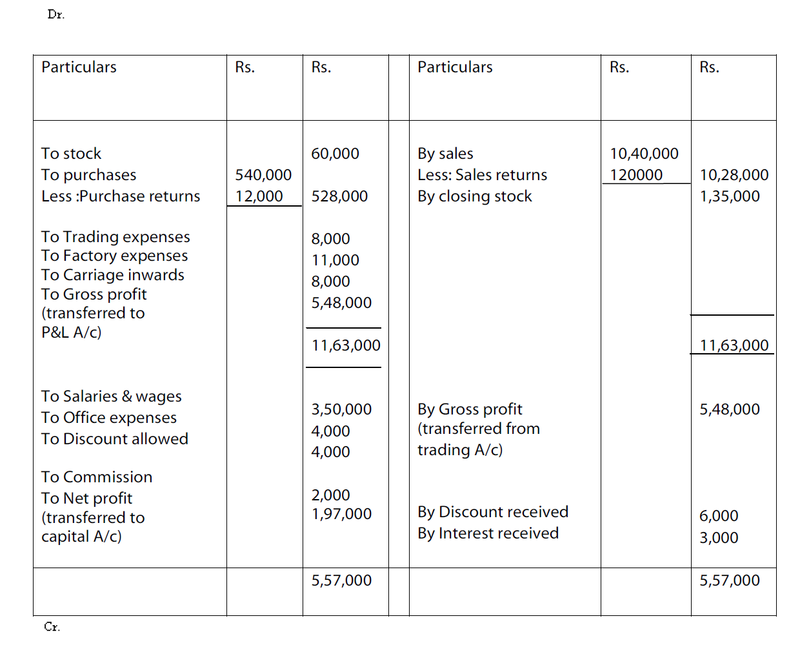 Determine the profit or loss at the time of sale of asset. All assets whose benefits are derived for a long period of time, usually more than one year period are called as Fixed Assets. These assets decrease in value year after year due to wear and tear or as time passes by. This reduction in value of Fixed Assets is called Depreciation. For instance, a factory owner owns machinery worth Rs.5, 00,000, may estimate the life of the machinery as ten years. This means that the value of the asset is reducing every year. Hence, it is necessary to spread the cost over five years during which the benefit of the asset is derived. Thus depreciation Rs.50,000 (Rs.5, 00,000 /10 years) is to be treated as an expense, which is debited to Profit and Loss account. In the words of Spicer and Pegler, “Depreciation is the measure of the exhaustion of the effective life of an asset from any cause during a given period”. Disuse: When a machine is kept continuously idle, it becomes potentially less useful. Depletion: depletion physical reduction of natural resources by exhaustion e.g., mines, quarries, oil wells etc. Obsolescence: Decrease in value of property as the result of technological advancement. Effluxion of time: When assets are exposed to forces of nature, like weather, wind, rain, etc., the value of such assets may decrease even if they are not put into any use. Time Factor: Lease, copy-right, patents are acquired for a fixed period of time. On the expiry of the fixed period of time, the assets cease to exist. Straight line method or fixed instalment method. The accounting principles are accounting rules used to prepare, present, and report financial statements for a wide variety of entities, including publicly-traded and privately-held companies, non-profit organizations, and governments. In this chapter we are going to learn about these accounting procedures which form the guidelines to prepare the financial statements. Imagine that you are a business owner, and you take copies of your financial records to six different accountants. You ask each one to calculate your profit for the year. A fortnight later they each provide you with their answers. There are six different profit figures, with very wide variations between them. What impression do you now have of the accounting profession? To avoid this kind of situation arising various rules, or accepted ways of going about things have evolved. 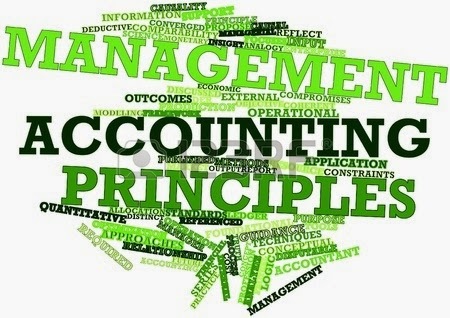 These rules are known as 'concepts' and 'conventions' To support the application of the "true and fair view", accounting has adopted certain concepts and conventions which help to ensure that accounting information is presented accurately and consistently. The concept of business entity assumes that business has a distinct and separate entity from its owners. It means that for the purposes of accounting, the business and its owners are to be treated as two separate entities. Keeping this in view, when a person brings in some money as capital into his business, in accounting records, it is treated as liability of the business to the owner. Here, one separate entity (owner) is assumed to be giving money to another distinct entity (business unit). Similarly, when the owner withdraws any money from the business for his personal expenses (drawings), it is treated as reduction of the owner’s capital and consequently a reduction in the liabilities of the business. The concept of money measurement states that only those transactions and happenings in an organization which can be expressed in terms of money such as sale of goods or payment of expenses or receipt of income, etc. are to be recorded in the book of accounts. All such transactions or happenings which cannot be expressed in monetary terms, for example, the appointment of a manager, capabilities of its human resources or creativity of its research department or image of the organization among people in general do not find a place in the accounting records of a firm. The users of financial statements need periodical reports to know the operational result and the financial position of the business concern. Hence it becomes necessary to close the accounts at regular intervals. Usually a period 52 weeks or 1 year is considered as the accounting period. As per this assumption, the business is assumed to continue for a never ending period and therefore transactions are recorded from this point of view. There is neither the intention nor the necessity to wind up the business in the foreseeable future. These concepts guide how business transactions are reported. On the basis of the above four assumptions the following concepts (principles) of accounting have been developed. Dual aspect is the foundation or basic principle of accounting. It provides the very basis for recording business transactions into the book of accounts. This concept states that every transaction has a dual or two-fold effect and should therefore be recorded at two places. In other words, at least two accounts will be involved in recording a transaction. This can be explained with the help of an example. Ram started business by investing in a sum of Rs. 50, 00,000 the amount of money brought in by Ram will result in an increase in the assets (cash) of business by Rs. 50, 00,000. At the same time, the owner’s equity or capital will also increase by an equal amount. It may be seen that the two items that got affected by this transaction are cash and capital account.All business transactions recorded in accounts have two aspects - receiving benefit and giving benefit. For example, when a business acquires an asset (receiving of benefit) it must pay cash (giving of benefit). The concept of revenue recognition requires that the revenue for a business transaction should be included in the accounting records only when it is realized. Here arise two questions in mind. First, is termed as revenue and the other, when the revenue is realized. Let us take the first one first. Revenue is the gross inflow of cash arising from (i) the sale of goods and services by an enterprise; and (ii) use by others of the enterprise’s resources yielding interest, royalties and dividends. Secondly, revenue is assumed to be realized when a legal right to receive it arises, i.e. the point of time when goods have been sold or service has been rendered. Thus, credit sales are treated as revenue on the day sales are made and not when money is received from the buyer. As for the income such as rent, commission, interest, etc. these are recognized on a time basis. For example, rent for the month of March 2005, even if received in April 2005, will be taken into the profit and loss account of the financial year ending March 31, 2005 and not into financial year beginning with April 2005. 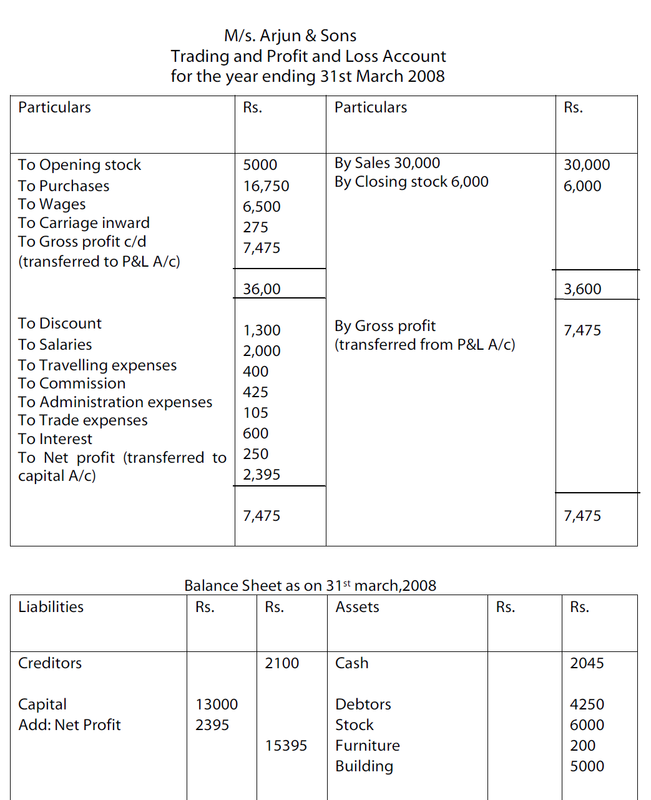 Similarly, if interest for April 2005 is received in advance in March 2005, it will be taken to the profit and loss account of the financial year ending March 2006. Under this concept, assets are recorded at the price paid to acquire them, which includes cost of acquisition, transportation, installation and making the asset ready to use . For example, if a piece of land is purchased for Rs.50,00,000 and its market value is Rs.70,00,000 at the time of preparing final accounts the land value is recorded only for Rs.50,00,000. 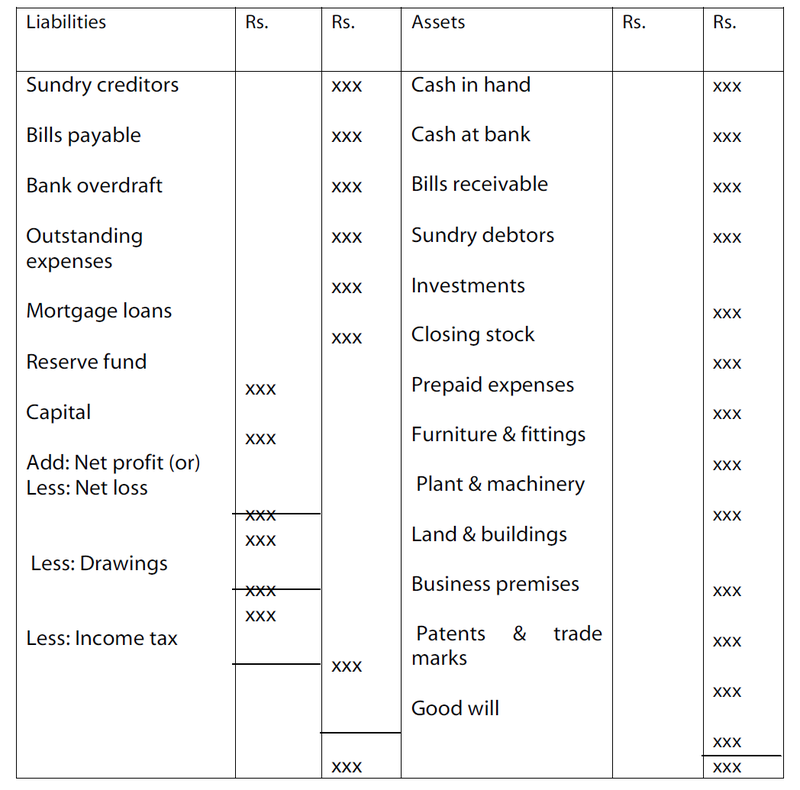 Thus, the balance sheet does not indicate the price at which the asset could be sold for. The earnings and expenses shown in an income statement must both refer to the same goods transferred or services rendered during the accounting period. 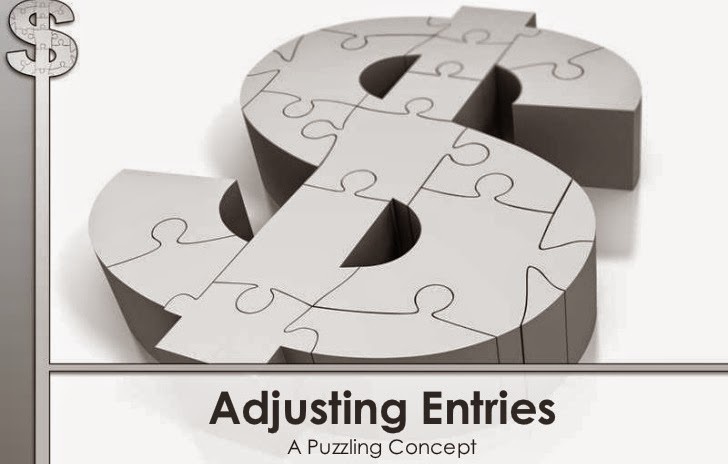 The matching concept requires that expenses should be matched to the revenues of the appropriate accounting period. The concept of objectivity requires that accounting transaction should be recorded in an objective manner, free from the bias of accountants and others. This can be possible when each of the transaction is supported by verifiable documents or vouchers. For example, the transaction for the purchase of materials may be supported by the cash receipt for the money paid, if the same is purchased on cash or copy of invoice and delivery challan, if the same is purchased on credit. Similarly, receipt for the amount paid for purchase of a machine becomes the documentary evidence for the cost of machine and provides an objective basis for verifying this transaction. To make the accounting information useful to various interested parties, the basic assumptions and concepts discussed earlier have been modified. These modifying principles are as under. The principle of full disclosure requires that all material and relevant facts concerning financial performance of an enterprise must be fully and completely disclosed in the financial statements and their accompanying footnotes. This is to enable the users to make correct assessment about the profitability and financial soundness of the enterprise and help them to take informed decisions. The materiality principle requires all relatively relevant information should be disclosed in the financial statements. Unimportant and immaterial information are either left out or merged with other items. For example, money spent on creation of additional capacity of a theatre would be a material fact as it is going to increase the future earning capacity of the enterprise. Similarly, information about any change in the method of depreciation adopted or any liability which is likely to arise in the near future would be significant information. All such information about material facts should be disclosed through the financial statements and the accompanying notes so that users can take informed decisions. The aim of consistency principle is to preserve the comparability of financial statements. The rules, practices, concepts and principles used in accounting should be continuously observed and applied year after year. Comparisons of financial results of the business among different accounting period can be significant and meaningful only when consistent practices were followed in ascertaining them. To illustrate, an investor wants to know the financial performance of an enterprise in the current year as compared to that in the previous year. He may compare this year’s net profit with that in the last year. But, if the accounting policies adopted, say with respect to depreciation in the two years are different, the profit figures will not be comparable. Because the method adopted for the valuation of stock in the past two years is inconsistent. It is, therefore, important that the concept of consistency is followed in preparation of financial statements so that the results of two accounting periods are comparable. The concept of conservatism requires that profits should not to be recorded until realized but all losses, even those which may have a remote possibility, are to be provided for in the books of account. This principle takes into consideration all prospective losses but leaves all prospective profits. The essence of this principle is “anticipate no profit and provide for all possible losses”. For example, while valuing stock in trade, market price or cost price whichever is less is considered.